Despite the look on my posterboy Nick here, you are actually very much welcome to my journal! 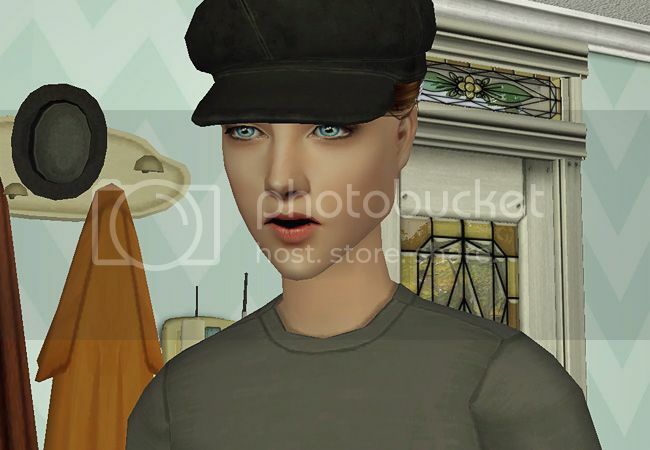 I'm bunhead, in this journal you'll find some downloads, clothes, sims and the occasional pookleted hair. 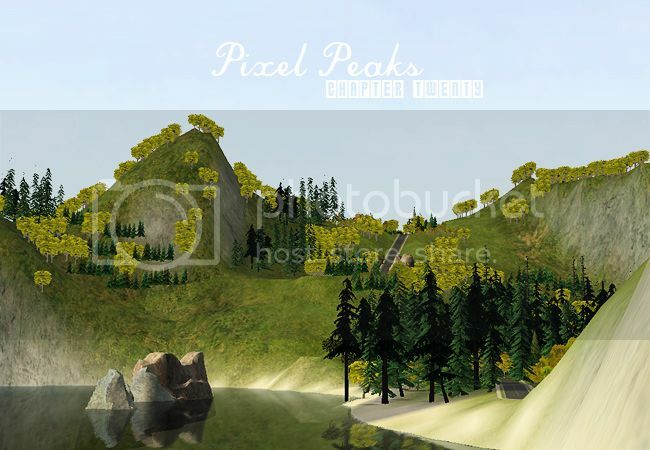 There is also some random sim pictures and my sim story Pixel Peaks. For more random pictures and other junk you can visit my tumblr. I hope you'll like your visit here and don't be afraid to befriend me if you want! I only have one policy for my creations and that is; don't be a jerk. Jerking includes claiming as your own and posting on paysites. And credit is nice. I'm posting some downloads over tumblr these days, so if you're not following you can take a look at my download tag and see if there's anything you've missed. Check it out here! And for those of you who don't have tumblr on don't follow me there, I uploaded a hair conversion here. Also thank your secret maker #27 <3 Hope you enjoy the rest of the collection! Pixel Peaks is coming back. Every now and then I've gotten some comments on Pixel Peaks even though it's been on hiatus for more than a year. I want to thank you for those, even though I havent been answering. I havent had an answer until now because I have not been sure what to do with the story. This story was born from my love for writing and my love for sims, which means I had no plan when I started writing it and I have continued not having one. I ignored all the rules of writing because it was my baby, it was pure joy making it up and telling it. Eventually I of course wrote myself into a corner, and it became to much work to try to get myself out of there. I needed a break from it, it turned out to be quite a long break. Last week I read through the entire story just to see where I actually was. There was so many things I had forgotten about. I went in game and shot the first scene in a very long time. I realized I had missed the characters quite a bit. So now I'm shooting the scenes I have had done in my head since before, at the same time I'm working out how to untangle the plots I've set up for myself. Seeing that the resolution is drawing near I have to have some sort of plan now. Pixel Peaks is coming back. The chapters will not be very frequent due to life and whatnot, but they will come. I want to finish this. Finally, I can share this with you. I've been working on it for maybe two weeks and I've actually had both the mesh and the colors done for quite a while. But then I noticed that the texture files were huge and I had to figure out how to make them smaller and that took a lot of wtfs. Now they're at an acceptable size and I don't think I broke anything else. 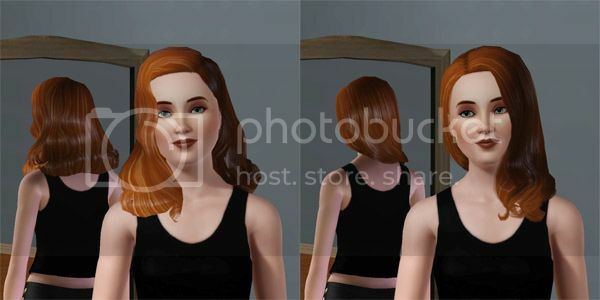 This is the store's Pin-up Pretty hair converted to TS2. It comes in all of Pooklet's naturals and with a bonus family consisting of Io's Isis as black, and Lilith's Shinji as brown, Rei as blonde and Azuka as red. Works for all ages. Credits: Pooklet, Io, Lilith, EA, Trapping. Looking for certain TS3 hairs. My first 3t2 hair mesh! I never thought I would be more proud than the day I shared my first clothing mesh. I was wrong, today I bring you my first hair mesh. 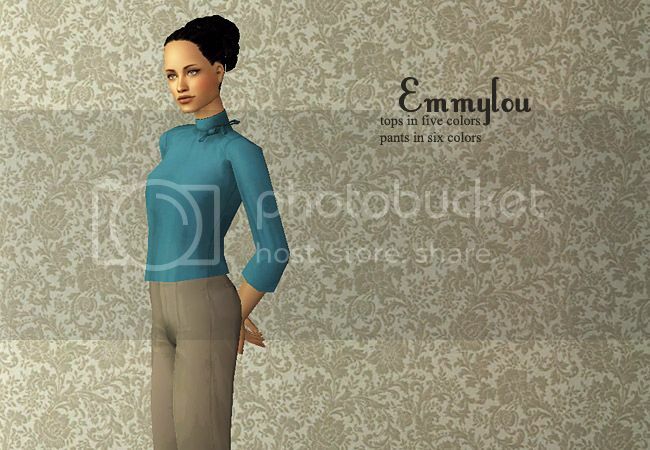 Tired of waiting for someone with the skills to see the potential in all the wonderful vintage looking sims 3 hair I set out to learn how to do this myself. And learned I did. A lot. Thanks to awesome tutorials by Trapping and Yuxi I can now proudly present this store hair, converted for TS2! This hair is for all ages, comes in all of Pooklet's naturals and one extra family consisting of Io's Isis as black, Lilith's Shinji as brown, Rei as blonde and Azuka as red. Credits: Trapping, Yuxi, Pooklet, Io, Lilith, Nathia at MTS and EA. Oh look at that, I have something to share.